Home » Health & Wellness » What Do You Know About Sound Healing? Did you know that sound healing is a simple technique that can balance and heal your body, mind and spirit? This technique uses vibrational sound to help reduce stress, alter consciousness and create a deep sense of peace. Everything is a symphony of energy that vibrates at different frequencies. These vibrations have a big impact on us, even if we are not aware of it. For example, the sound of ocean waves will make you feel different from the sound of singing birds. The reason for this is that the different sounds vibrate at different frequencies and these vibrations affect your whole body. The nature with its frequencies can be very cleansing for our soul and spirit. This is why we feel so wonderful when we are out in nature. Everything in the Universe is vibrations. Your body is vibration, and the chair you are sitting in is also vibration, but at very low frequencies that we can´t actually perceive. Solid things like rocks have a low vibration, but we can´t see the vibration unless we take help from a microscope, then we will notice the movements. Things like water have higher vibrations and move more. A healthy body has a frequency from 62 to 72 Hz. When your body vibrates at a lower frequency, disease is the result. Here is where sound healing comes in. By listening to healing sound your body, mind and spirit will vibrate at a different frequency and thereby start a healing process. This is why healing tones is so beneficial for your overall health. The use of instruments can be very beneficial when working with sound healing. Every note that is played vibrates at a different frequency. The note C vibrates differently from note F etc. Your overall health benefits from sound healing at specific vibrations. Example of this is the sound healing with Solfeggio Frequencies. 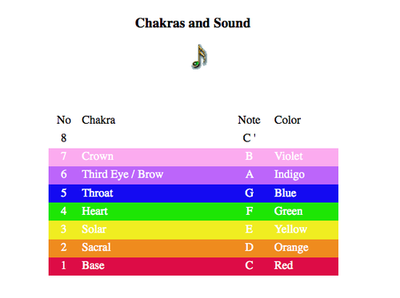 Often when working with sound healing, chakras and colors are mentioned. For example, the note C vibrates at the same frequency as the color red and this color is tied to our first energy center, known as the root chakra. When you listen to the note C, you can actually feel its vibration in your body and if you are very observant and relaxed you might even feel the vibration in your root chakra. It’s great to see you focus on healing. Many people need healing and are unable to discover their purpose in life because they are wounded.